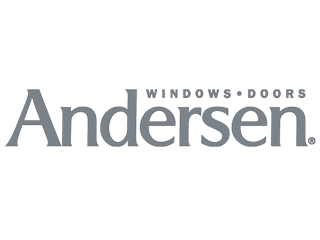 Andersen® Corporation has a name that is instantly recognized, as it is the largest window and door manufacturer in the United States, with over 100 years in business. Founder Hans Andersen originally located his company in Hudson, Wisconsin to take advantage of the area's logging industry. Andersen Corporation is now headquartered in Bayport, Minnesota. 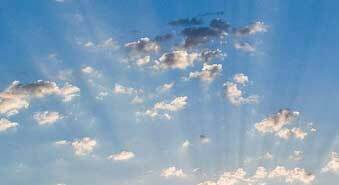 As a company, its key values include sustainability, safety, and community. At Chapman Windows Doors & Siding, we like to partner with manufacturers who share our ideals, and Anderson fits the bill. 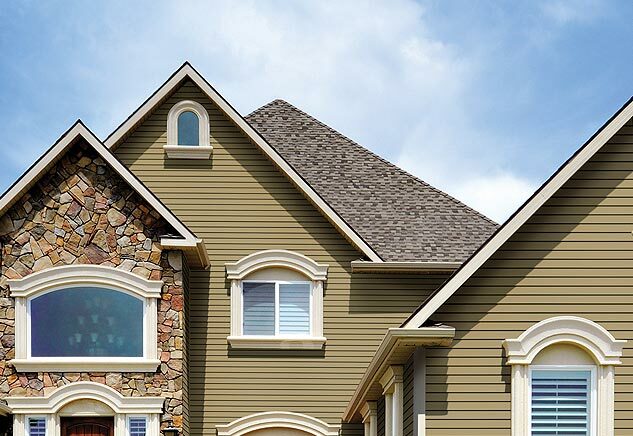 Chapman Windows Doors & Siding is pleased to offer a variety of Andersen windows and doors for your new construction, replacement, or remodeling project. These include the following product lines. The premium A series with double-hung, awning, casement and specialty windows plus hinged and gliding patio doors composed of wood with a fiberglass and composite exterior. The versatile and customization-ready E series of windows and doors made of wood with exterior aluminum cladding. 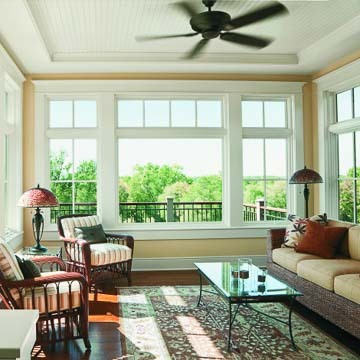 This full-line window and door series includes a gliding French patio door and a gliding window. 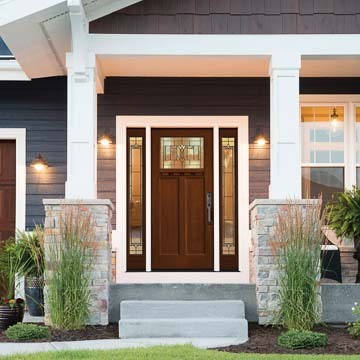 The most popular 400 series covering almost all window and door styles including the gliding French door and hinged patio door plus double-hung, casement and awning windows. The 400 series is constructed with wood and a vinyl or composite exterior. The 200 series which provides clear pine or white-painted interiors and vinyl exteriors. By restricting this line to only the most popular sizes and styles of glass windows and doors, the 200 series is able to offer economy with functionality and style. The entry-level 100 series constructed of Andersen's Fibrex® composite. This line includes awning, single-hung, casement and gliding windows plus a gliding patio door. 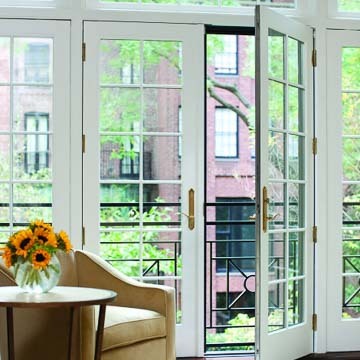 Chapman Windows Doors & Siding respects the Andersen Corporation's commitment to its products. Andersen is constantly seeking innovation in design, energy efficiency, sustainability and waste reduction in its manufacturing processes. In 2016, Andersen received an ENERGY STAR® Partner of the Year award for its energy-saving products. 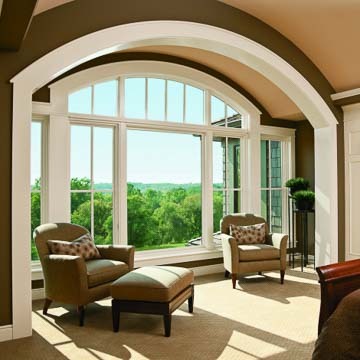 The windows and doors are manufactured with durability and weather resistance in mind – some product series even have special wind, weather, or sun-resistant glass options available. 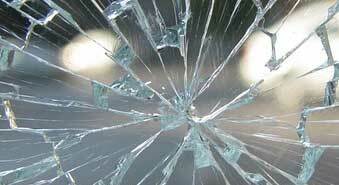 Andersen also offers excellent warranties on its products. 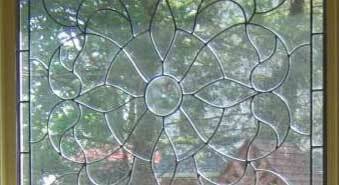 Chapman's expert consultants will be happy to help you select from the many fine Andersen glass windows and doors we can supply.